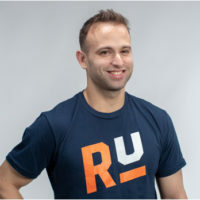 A New Jersey native, Dan Garten developed a passion for CrossFit while serving in the Army where he used it as a way to interact with his peers and stay fit for physical fitness tests. After leaving the military, Dan served as a coach at Rising CrossFit Ballantyne for four years. He says that seeing people make a change for the better in their lives and becoming their best self makes his job all worth it! Dan will be heading up the Foundations Program for new members at Rise Up as well as coaching many of its early morning, evening and weekend classes.